After two years of living in our new home, my husband and I are finally getting around to making some changes to our landscape. The property was one of the core reasons we bought our house; it has amazing, mature trees and shrubs. I’m talking 80 foot Cedars, Pines, a Grey Birch, a stunning Japanese Maple, a Norway Spruce and a number of large Hemlocks and Arborvitae. It also has a shrub layer that we’ve been adding to, including boxwood, yew and lots of deciduous shrubs. I met with an arborist when we first moved in and we did a lot of work pruning and cabling these trees. I really saw them as a huge asset to the property and something to invest in. Now, after having gone through a house renovation, I see them more as a critical system to the property. And, in the way you evaluate and renovate home systems (think HVAC, electrical, plumbing), it is important to evaluate and treat your trees and shrubs on an annual basis. So, today I met again with our arborist to walk through the property. There were a few things I was concerned about and we now have a program in place to tackle those problems. 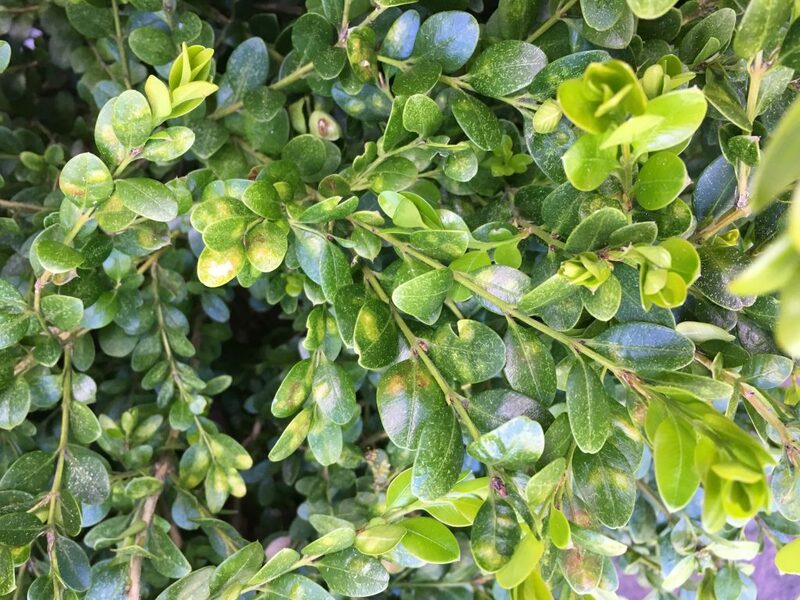 See below for a few problems that are common, but easily treated by a tree and shrub care company. 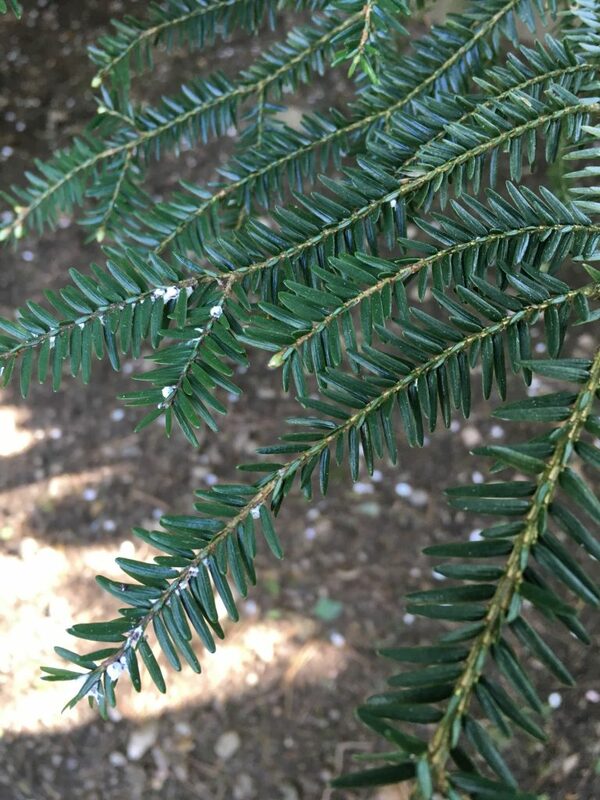 A common sight, the white foamy looking spots are wooly adelgid on our Hemlocks. They are also being treated for scale. 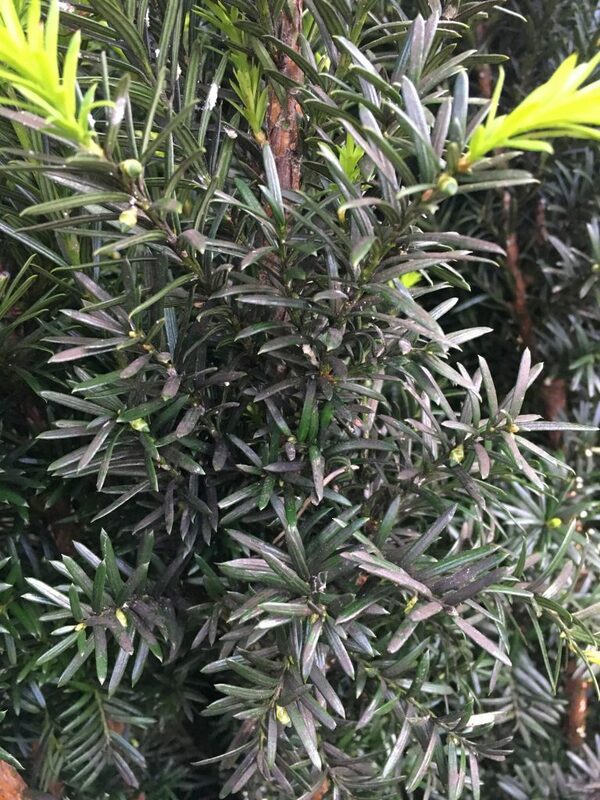 This yew is infected with mealy bug. It is a small white bug, but leaves behind the darkened foliage you see here.